Return to New York with our complete guide to getting caught up, finding the best stuff, and specializing your character for every mode. Whether you're new to The Division or have been around since the beginning, diving into it after all Year One content has released is still quite intimidating. Patch 1.6 and the release of Last Stand, a focused competitive mode, brought a ton of changes to the meta across both PvP and PvE. Navigating them can be disorienting, even if you've been around awhile. Gear sets you previously relied on might be dead, and with huge changes to how defensive buffs stack, players are scrambling to find new go-to compositions in a sea of percentage changes. Numbers, math: not too surprising for a game called The Division. 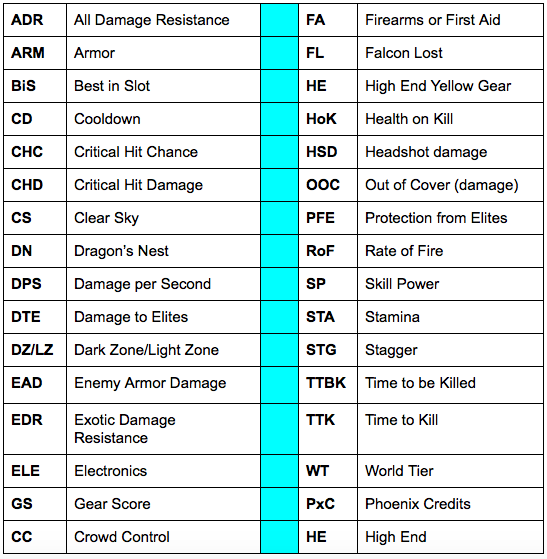 This guide will walk you through that scary, scary math and detail the most efficient methods for acquiring new gear, how to spec that gear towards the best PvE and PvP builds possible, where to spend your hard-earned Phoenix Credits, and how to prioritize weapon mods. Data is sourced from Reddit users spydr101, Total, DocHolliday, and WOBO. Find spydr and Total’s gear sheet here. Chat with The Division community about 1.6 and the recent announcement of Year Two on the Discord server. There is no reason not to rush to World Tier 5 as soon as you launch the game, no matter where you start. Simply run missions and put on anything with a higher Gear Score (GS) as long as it doesn't have an Electronics mainstat. Spending time and resources on gear you won't keep is silly—you want to get to T5, where gear actually matters. Once in T5, you want to work on a basic outline of a build and get right into difficult content with a group, preferably. You can complete 256 Gear Score 'Challenging' content with a 229 GS pretty easily with the right setup, so jump right into it if you're in a rush to get geared. Where do I go to farm and get gear? About the same as 1.5, Legendary Mission and Weekly Rewards are most rewarding for optimized groups. Check your map to find those. Otherwise, everything is still pretty great for farming right now. Farming Weekly High Value Targets (HVT) in a group is safe, casual, and decently rewarding. Farming with a group means you can usually purchase three to four Weekly HVTs from the Terminal, collect Intel from them, and go purchase Daily HVTs. You will get about 60-plus drops from doing this cycle in a couple hours or so. Story missions like Lexington are still great farms right now as they drop loot from the boss, completion, and trash mobs. They also give you a chance to obtain Exotics and 80 Phoenix Credits (PxC). Open world boss farming may be fun, but really isn't the most efficient since you have to go from place to place to find the bosses. Incursions are not the most farm-friendly due to long clear times (except Clear Sky) and limited gear drops. I recommend only doing Incursions when you're desperate for a specific type of gear set piece. With 1.6, you'll get showered with a ton of loot, and sorting through what to keep and what to toss is a bit of a nightmare. Luckily, Reddit user spjeanfritz has a great guide on the best gear and YouTuber WOBO made a helpful video on the best weapons. Another way to get fast PxC is to buy sealed caches in your Base of Operations and open them for PxC and loot to use or sell. Clear Sky is a great PxC farm for optimized players too. The Underground expansion content got buffed a bit loot-wise too. While it's fairly punishing, it can be very rewarding for players, especially if you're not max level. Be sure to run it with someone who is max level so they can buy 3 Phase Heroic for you, which increases your rewards by a significant margin. The Dark Zone is still a fast loot farm, but with the risk of other players murdering you. You can create a PvP-based build, but still roll Damage to Elites (DTE) for free. Solo players can stick to lower zones or the new north zones to more easily avoid ganking. Because the Dark Zone (DZ) got much bigger while the player count stayed the same, it's gotten much safer—and you lose less when a Rogue kills you. The Banshee gear set also makes Rogue-killing pretty easy with its new damage buff. Legendary missions are a good source of loot (credits, XP, PxC, gear, and Exotic caches) but I would only do these with an optimized group. Wasting time constantly dying isn't worth it here, but if you can perform smooth runs it's not bad. Last Stand is very rewarding for how fun it can be and how easy it is to get a high score, so if you enjoy PvP be sure to play a lot. Make sure to do your dailies and weeklies—they're not difficult and pretty rewarding—especially the weekly cache. Only craft blueprints to good gear and save your materials for blueprints as they're rotated through vendors. There are tons of vendors across the map, all selling the highest tier of gear as well as blueprints that aren't very hard to craft with the new mob drops. The Terminal houses two PxC vendors that you should always check. Be sure to grab the cheap, powerful blueprints along with any weapon blueprints you need. Don't be afraid to buy things that cost normal credits since they're so easy to earn—I often find myself buying extras just to roll for different stats. These vendors reset every week at 7pm EST every Friday, so you have plenty of time to farm up for what you need. Normal credits are used for rerolls using the Recalibration Station in the Terminal, and considering they're now price-capped you should be going for good rolls regularly. If you find yourself swimming in extra gear, be sure to change it into PxC by purchasing caches in the Base of Operations or simply buy caches to get rained on by more gear. Yellow caches also drop gear sets, but sometimes they come with only one attachment, so be careful. At around 8 million credits I normally liquidate all my money into caches, then sell the junk. PxC is a very important currency since you won't ever have too much of the stuff and it's required often. Between the PxC vendor and weapon rerolls, I often find myself flying through it. That being said, the PxC cap was increased, so hoard away if you have nothing to spend it on.